Jim Webb, former United States Secretary of the Navy under Ronald Reagan, has a wealth of both political experience and knowledge of world events. Webb heavily criticized George W. Bush's invasion and handling of the War in Iraq. 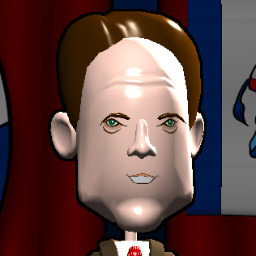 Webb won the Virginia Senatorial election in 2006 as a Democrat. Webb has authored eight novels and one screenplay, and was at the top of the list for Barack Obama's vice presidential nomination, until he withdrew from consideration. Can you lead Webb to the presidency?